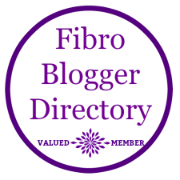 Remind Me Again – Fibro-my-what? Fibromyalgia Syndrome or FMS is a condition where people experience: widespread pain in the joints and soft tissues, extreme fatigue/malaise, sleep issues, cognitive issues (brain fog or “fibro fog”), which all then compound to lead to other symptoms such as depression and anxiety. The list of symptoms attributed to FMS is quite extensive. Another day, another symptom. Every day is a new adventure with fibro! When I was first diagnosed, Y2K had just happened. There was no Facebook or Twitter to turn to for support groups, the internet was still maturing, and blogs weren’t really a thing. I found out a lot of information from reading books and there wasn’t much back then. Traditional Western medicine typically treats fibromyalgia with a prescription, typically pain pills or anti-depressants. While anti-inflammatory medications worked well for me, it seemed like every one that worked then was taken off the market. Pain pills and anti-depressants leave me feeling drugged. So I prefer a more nutrition-based approach. But in addition to nutrition and medicine, you need other strategies for coping with the daily pain and major flares that occur. Stress. Eating wrong. Not sleeping. All of these things can trigger or worsen the pain. It may take some time, but figuring out those things that trigger or make a flare worse will help you avoid them in the future. You might have to try an elimination diet to discover the food that worsens your condition. Try keeping a diary of what you were doing prior to a flare, to give you a better idea of common patterns. Have those things on hand that bring you relief: medication, heating pads, TENS, essential oils, etc. Maybe I can’t put all of the laundry away today, but I can run one load. I can’t walk 10,000 steps in a day, but I can do some gentle yoga stretches and meditate. Yes, it seems counter-intuitive to exercise when you have pain. For FMS, it is important to keep the muscles strong and flexible, and to maintain a good range of motion. I find once I am up and moving my joints are lubricated and my muscles seem to relax some. That doesn’t mean my hip/neck/shoulder pain vanishes, but the overall stiffness and soreness eases up when I exercise. Try some restorative yoga therapy, which has shown to help reduce stress, which contributes to inflammation, and relieves pain. The conscious act of relaxing will help you build neural connections in the brain, which help you deal with pain. You can find many routines on YouTube or even a local class. And lest we forget about the benefits of getting outside. Getting just a few minutes of sunshine helps our mood by boosting serotonin levels and strengthens our bones by increasing the skin’s ability to make Vitamin D. Of course, like many things in life, moderation is key. Too much exposure without protection can cause skin cancer, so practice safe sun exposure, please! SPF is your friend. I hesitate to add this one because it might be controversial. Even the studies are contradictory. So, again, you have to find what works for you. For some, caffeine might be a trigger to stomach problems or pain. For others, caffeine can ease the pain of a migraine, headache, or post-workout pain. But with all things, it is best in moderation. Maintaining routines for exercise, eating, sleeping all help me stay on track. I “meal prep” on Sundays so I have healthy food and snack options to grab. I exercise in the mornings when I wake up to energize me and work out the kinks (it won’t happen if I wait until after work when I am mentally exhausted). I have a bed time routine to wind down and prepare my body for sleep. Having routines will not only keep you on track, but also can add some sense of peace and stability to what might be an already hectic life. Until there is a cure for what ails us, the best we can do is manage the symptoms and hope we can minimize the pain. Fibromyalgia and pain are different for everyone. Symptoms are different, reactions are different, and coping is different. So we all have to find what works best for us as individuals. I hope I have given you some ideas to do just that. Sip some tea, do some stretches, or step outside for a few minutes today. Your body may just thank you for it! Do you have other ideas for coping with and managing your pain? This is good. Helpful to many too! Thank you! That’s all I hope is that I can help someone with what I have learned. 🙂 Have a wonderful day.